Reality Robotics Limited proudly presents the Be the Robot™ Project! What is the Be the Robot™ project you may ask? It is an expertly-engineered-multi-motor-wireless-animated-mobile-robotic-toy-platform that features an advanced internal operating system for communicating through an open source APP with an Android / iOSsmart device through Bluetooth™. 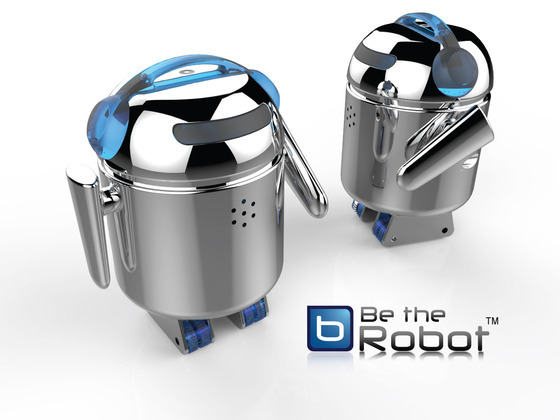 Be The Robot (BERO)-Bluetooth Controlled Open Source Robot by Reality Robotics Limited — Kickstarter. Dieser Eintrag wurde veröffentlicht in Development, English, Fun, General und verschlagwortet mit BERO, Bluetooth, Kickstarter von Sebastian Trella. Permanenter Link zum Eintrag.